It's the Annual Secret Garden Tour this weekend and the Duluth Garden Flower Society has been holding them for 20 years. But our man on the inside, DGFS president Tom Kasper, knows the secret of the Secret Garden Tours. This spring's warm temperatures and occasional rains have made for perfect growing conditions ... but if you want to take a break from your own garden, there are a couple of garden tours you might be interested in. There's more information about the Duluth Garden Flower Society's Secret Garden Tour here and the Duluth Community Garden Program's Tasteful Garden Tour here. Master gardener Tom Kasper talks about how to figure out what's going on when you notice something is amiss with a plant or tree or shrub in your garden ... and how to get help fixing it. 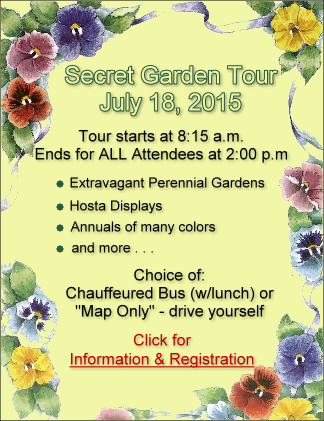 Plus the Duluth Garden Flower Society's 20th Annual Secret Garden Tour is next month! Tom Kasper survived the knock-down, drag-out Duluth Garden and Flower Society plant sale last weekend ... now he has a little time to rest and recuperate before the Master Gardeners of St. Louis County's sale June 13. And he's even reasonably hopeful that our freeze warnings should be over now and we can start putting things in the ground! Saturday was the 10th Annual World Naked Gardening Day, according to the folks who came up with it (and it's a pretty good bet they're not from Minnesota!) and Tom Kasper reveals his ... thoughts on that and our lack of rain! "Uvularia grandiflora" (Large-Flowered Bellwort or merrybells), "Uvularia sessilifolia" (Sessile-leafBellwort) and "Trientalis borealis" (Starflower) are just a few of the Latin names for spring ephemerals* that Carol Andrews says we can grow at home. 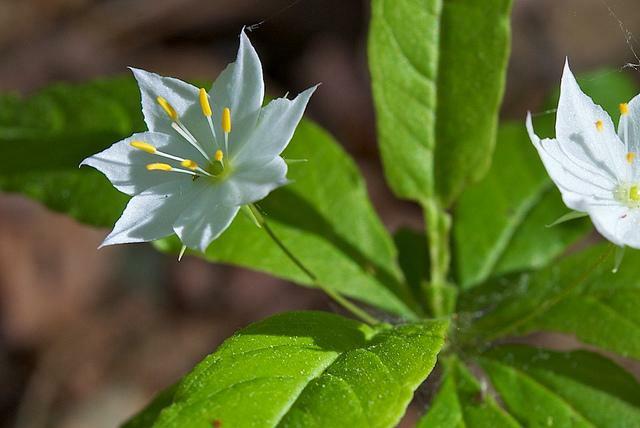 Don't know much about spring ephemerals? She recommends spending more time lying down in the woods. Carol Andrews is the president of the Wild Ones Minnesota Arrowhead Chapter. * from the Greek ephēmeros "lasting a day." Master Gardener Tom Kasper says we can use the rainy/snowy cool days expected for this week to gently remove the remains of last year's perennials from the new emerging shoots. 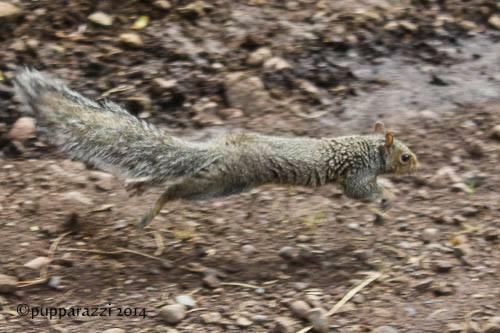 And he says we can use rotten-egg-smelling sprays and blood or bone meal to repel/terrify deer and squirrels from ever returning to our yards!